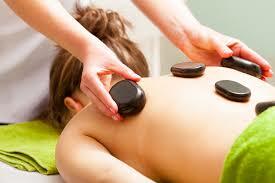 Ancient healing basalt warm stones glide over your body to deeply relax your muscles and ground your energies. The lava stones relieve aching muscles and help to cleanse and release negative energies from your being. You will be transported to another place and time! Powerful Earth energy stones used in conjunction with massage has profound healing effects on our body systems mind, body & energy.